Boston Square bottles from Foxx Life Sciences provide a safe alternative laboratory bottle solution, to glass storage bottles. 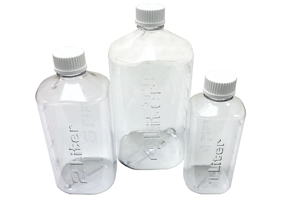 Bottle material and volume are molded into the side of the bottle for easy identification, along with the metric graduation marks certified to be accurate within ±5%. 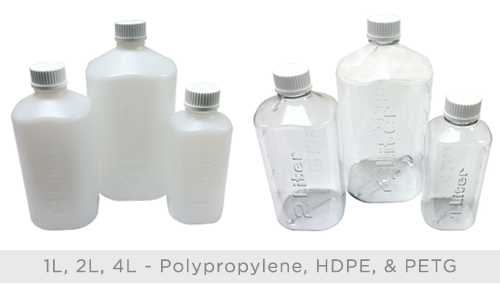 Boston Squares laboratory bottles are available in Polypropylene, HDPE, and BPA-Free EZclear PETG. To further discuss the Boston Square bottle range, and how we can help you. Please contact us, or request a callback at a convenient time to suit you.